A higher level of scrutiny regarding the content of therapy documentation has been noted in the published findings of government funded auditing agencies. Harmony (HHI) has assisted numerous facilities in the audit process and has identified trends in risk areas as well as frequent denial reasons through analysis of government agency audit findings. An area requiring serious attention by SNF Administrators and Rehabilitation managers is documentation in the medical record supporting the patient’s medical necessity for Part B Rehabilitation services. Keep Dementia Training Front of Mind: Harmony often discusses clinical review of individual patient interventions with the rehabilitation and nursing team regarding identification, assessment, and management of patients with advanced dementia. 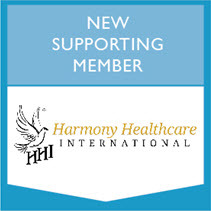 While treatment of low functioning, demented, or long term patients is challenging, Harmony believes that with increased training regarding targeted strategies, this particular group of residents will benefit greatly from skilled interventions. There are three levels of Rehabilitation that meets skilled criteria in the SNF setting.